Russian authorities have been looking to regulate syndicated lending for some time. With Russian companies and financial institutions suffering from limited access to foreign debt markets, economic development depends significantly on the effectiveness of domestic financial models. 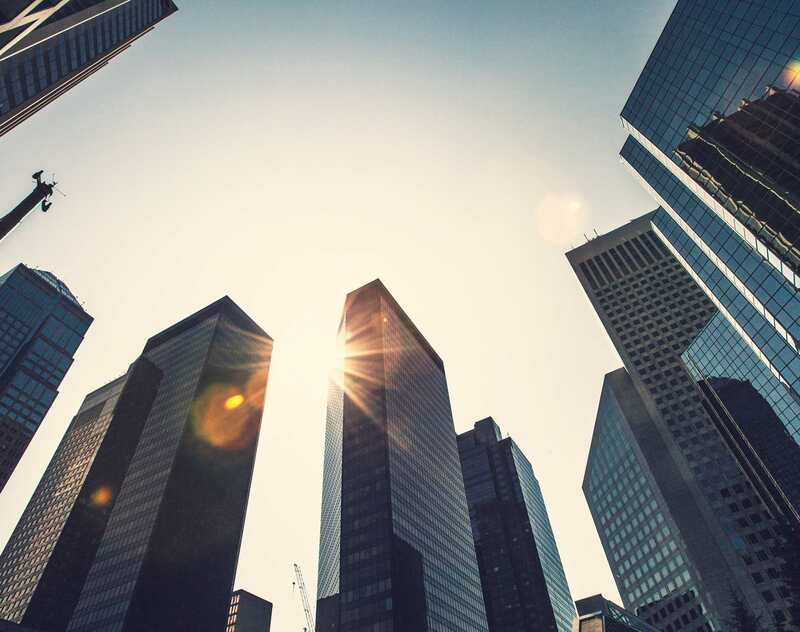 The syndicated financing model, whereby funds are provided by a group of lenders (the eponymous "syndicate"), offers substantial growth potential. To that end, the government determined that it is vital to improve the legal regulation of syndicated lending transactions. Notably, loans have long been issued on this basis by groups of Russian banks under syndicated loan agreements based on general civil law provisions governing agency, contracts, credit relationships and obligations. Russian banks have also actively participated in cross-border foreign (e.g. English) law governed syndicated loans. Nevertheless, there was legal uncertainty regarding this contractual structure under Russian law before the enactment of the Syndicated Loan Law. For example, there was a risk of the relationship between the lenders (the members of the syndicate) being treated as a partnership or joint venture, and a corresponding risk that the syndicate would be subject to rules on partnerships. If so, the borrower could assert claims against one member of the syndicate for the total amount of the loan being provided by all members. In addition, the special rules for partners’ withdrawal from a partnership would surely complicate the creation of a secondary loan market, and the mandatory rules on partners’ conduct of business would limit lenders’ flexibility in decision-making. With that in mind, to eliminate legal risks, most syndicated lending transactions have been structured with conventional standard form agreements governed by the laws of foreign jurisdictions. (e.g. English law). The new law helps to remove these uncertainties from relationships in Russia between lenders, to establish procedures for their cooperation and decision-making and to impose certain restrictions (along with rights and obligations) on the parties to a syndication. At the same time, the Syndicated Loan Law represents an evolutionary development of the existing legal regulation of syndicated lending, adopting current regulatory approaches and reflecting established practices. A syndicated loan agreement records the lenders’ obligations in relation to the provision to the borrower of funds in the amount, and within the terms, provided for each particular lender in the agreement, as well as the borrower’s corresponding obligations to repay the loan and pay interest and other charges (if applicable). A syndicated loan agreement is a hybrid contract. In addition to the actual loan agreement provisions, a syndicated loan agreement usually features elements of a mandate agreement, a syndicated loan origination agreement, a collateral management agreement and an intercreditor agreement. The lawmakers’ approach to regulating the relationships among the parties to a syndicated loan agreement is distinguished by broad discretion and flexibility. For example, a syndicated loan agreement absolutely must contain a provision on the procedures for decision-making by the lenders and their performance of duties vis-à-vis the borrower and other persons in connection with providing the loan to the borrower and the servicing and repayment thereof. At the same time, the lenders can add specifics to the decision-making by syndicate members that differ from the general civil law rules on the decisions taken at meetings.2 Decisions adopted by the lenders in this manner are binding on all members of the syndicate. The fact that lenders can independently distribute risks among themselves under a syndicated loan agreement makes this new contractual instrument more attractive to participants in the Russian market. A syndicated loan agreement naturally must be executed in simple written form; failure to comply with this requirement renders the agreement void. There are no notarization or registration requirements. other Russian legal entities to the extent provided by federal law. For example, special-purpose vehicle (SPV) project companies, Far East development institutions4 and state industrial development funds5 can act as lending syndicate members. The Syndicated Loan Law significantly expands the range of entities eligible to lend, compared to the original version of the bill. However, the law limits the ability of non-credit financial institutions to be directly involved in syndicated lending, which is at odds with global practice. When considering the interaction between the lenders and the borrower, the figure of the loan manager – which is appointed by the lenders and performs its duties for a separate fee – is especially important. provides documents and information received from the borrower and third parties to the lenders, the collateral manager and other persons as provided by the agreement. The law charges the loan manager with maintenance of a register of members of the syndicate and records of all funds provided to the borrower. Typically, the borrower repays the loan by transferring funds to the loan manager, with the borrower's corresponding obligations terminating when the funds are so transferred or credited to the designated account. Thus, unless otherwise agreed by the parties to the agreement, members take on additional credit risks in relation to the loan manager's default on its obligations to further transfer funds on to the lenders. Considering this circumstance, Russian lawmakers limited the scope of entities which may act as loan managers. They include credit institutions, foreign banks, international financial institutions and VEB. One of the most essential aspects of a syndication is the possibility for the members to assign their rights under the agreement (i.e., to take advantage of the liquidity of the loans). According to the Syndicated Loan Law, a syndicate member may assign its claims against the borrower to third parties without the consent of the other lenders under the agreement, including the loan manager. That said, the assigning lender must give notice of the assignment to the loan manager, who in turn must informs the borrower and make corresponding changes to the register of syndicate members. Unless otherwise specified in the agreement, a right may be assigned to any person (not necessarily to a qualified syndicate member) once the loan has been issued to the borrower. At the same time, a lender may only assign the duty to disburse the loan to an entity that is entitled to be a member of the lending syndicate. Here, the agreement can provide for the borrower's consent to a change of lender in such cases. If a lender completely withdraws as a syndicate member, assigning its rights and obligations under the syndicated loan agreement to another entity, then all rights under the security transactions also pass to the new lender. At the same time, the assigning lender or the loan manager (whichever is provided by the syndicated loan agreement) is required to notify the collateral manager (if any) within a reasonable time about the assignment of rights to the collateral. In addition to the basic provisions directly governing legal relationships related to the provision of syndicated loans, the Syndicated Loan Law also amends a number of current laws. In particular, the procedure for recording information about syndicated loan collateral in relevant public registers has been adjusted. Now, a collateral manager may register encumbrances in the names of and on behalf of the other lenders, simplifying the collateral registration process. At the same time, details about the collateral manager must be reflected in the respective registers depending on the type of collateral (the Unified State Register of Real Estate, the Unified State Register of Legal Entities, the register of notices of the pledge of movable property or the register of securities holders). The Syndicated Loan Law underscores VEB's key role as the state institution most responsible for development of Russia's syndicated finance market. First and foremost, this is driven by the development of a new mechanism to encourage investment activity –the so-called "project finance factory". This "factory" is a tool to support investment project finance in the Russian Federation using syndicated lending instruments, helping to increase related lending volumes. VEB is to serve as the operator of the project finance "factory". To that end, in parallel with the passage of the Syndicated Loan Law, significant changes were made to the Law on the Bank for Development8 and various other laws and regulations. These changes enable VEB to act as a full-fledged member of a lending syndicate and to act as loan manager, syndicated loan arranger and collateral manager. Current plans call for investment projects selected by VEB for participation in the "factory" to be funded in several tranches under a syndicated loan, one of which will receive funding from an SPV project company belonging to VEB. This is made possible by changes to the Securities Market Law,9 according to which such SPV project companies can (i) provide funding for long-term investment projects by granting loans and/or acquiring monetary claims under special-purpose loan (targeted credit) agreements, and (ii) issue bonds secured by pledges of monetary claims under those agreements. Participation in project finance by a strategic investor like VEB (which has direct involvement by the state), along with the ability to securitize claims under a syndicated loan agreement, will help to boost the volumes and liquidity of the financial market, grow the amount of resources being directed toward the funding of projects with national significance and make syndicated loan “interests” highly tradable. Finally, it should be mentioned that participants in the syndicated lending market already have at their disposal the standard-form syndicated loan agreement developed by the Russian banking community. In 2015, the Association of Banks of Russia (Association "Rossiya")10 presented this standard agreement11 produced in accordance with best practices and the laws in force at that time. The agreement was modeled on the standard-form documents of the London based Loan Market Association (LMA). For more than 20 years, the LMA has been developing and offering market participants standard-form syndicated loan agreements under the laws of various jurisdictions, which have worked well in practice. The use of standard documentation can help unify syndicated lenders' approaches to the handling of various issues and simplify negotiation of the terms and conditions of a syndicated loan agreement. It can no doubt be expected that following enactment of the Syndicated Loan Law, the standard syndicated loan agreement produced by the Association "Russia" will soon be updated to reflect the latest regulatory developments. 1. Federal Law No. 486-FZ On syndicated loans and amending certain legislative acts of the Russian Federation” dated 31 December 2017 (the Syndicated Loan Law). 2. Chapter 9.1 of the Civil Code of the Russian Federation; Article 2(5) of the Syndicated Loan Law. 3. Article 2(2) of the Syndicated Loan Law. 4. The Far East and Baikal Region Development Fund (http://www.fondvostok.ru/), AO Far East Development Corporation (http://erdc.ru/) and the Far East Human Capital Development Agency (https://hcfe.ru/). 5. Federal state autonomous institution Russian Technological Development Fund (http://frprf.ru/). 6. Article 3(1) of the Syndicated Loan Law. 7. Article 356(2) of the Civil Code of the Russian Federation. 8. Federal Law No. 82-FZ “On the bank for development” dated May 17, 2007. 9. Federal Law No. 39-FZ “On the securities market” dated April 22, 1996. 10. Formerly known as Association of Regional Banks (Association "Rossiya").